Colombia’s capital Bogota on Saturday reopened the famous pathway to the iconic church at Monserrate, reported local media. The pathway to one of Bogota’s most recognized tourist attractions had been closed for 14 months following forest fires in December 2015 causing extensive damage to vegetation subsequently causing rock slides. City mayor Enrique Peñalosa was present for the reopening and pledged that authorities will guarantee the safety of pilgrims who use the trail amid ongoing concerns of thieves taking advantage of its popularity. “We will guarantee security in Monserrate. We will have civilian police and cameras along the trail,” said the mayor to local media. Peñalosa, acknowledged that Bogota’s athletes may be the ones happiest following the reopening of the trail with the district’s figures predicting that up to 20,000 people will flock to it on Sundays. “The path looks very well, I had missed doing this exercise,” said Luis Enrique Mosquera, a runner who took 36 minutes to complete the climb. Others present considered the pathway to be of spiritual importance, a chance to take time out from busy life in bustling Bogota. Following the close of the iconic walkway, in excess of $1.5 million was spent on improvements that included the installation of 6,000 square meters of mantle and geogrid to control erosion as well as several other upgrades. 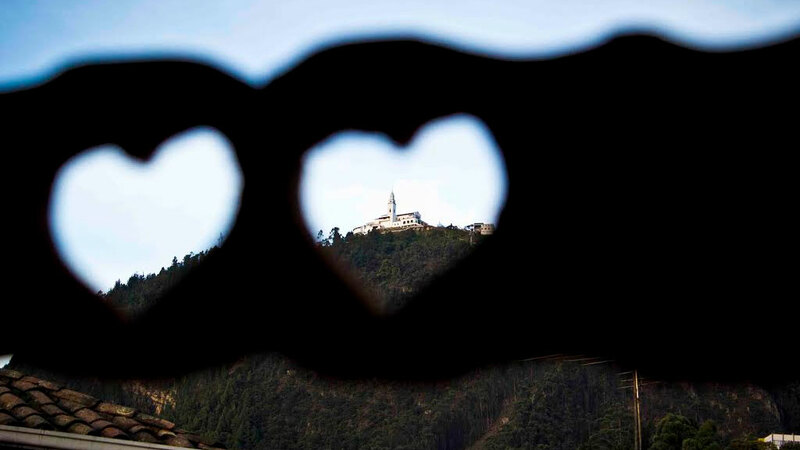 Cerro de Monserrate church and lookout hosts thousands of visitors a day, ranging from worshipers, hikers, and tourists. The reopening of the path comes just in time to welcome worshipers for the next Holy Week, which begins on Sunday, April 9.